Judd Trump battled back from 8-5 down to defeat World Champion Mark Williams 9-8 and book his place in the semi-finals of the Coral Tour Championship. Masters champion Trump, who was victorious at the series opening Coral World Grand Prix, will face either Ronnie O’Sullivan or Stuart Bingham in tomorrow’s first semi-final. Both Trump and Coral Players Champion O’Sullivan are tied at the top of the standings for the Coral Cup, which will be awarded to the player who accumulates the most prize money across the three-event series. Defeat will be tough to take for World Champion Williams after he had assumed control of proceedings this afternoon. He will now head out to Beijing for the China Open, before turning his attentions to defending his Crucible crown in Sheffield next month. The pair were locked together at 4-4 coming into this afternoon and it was Williams who seized the early initiative. The Welshman composed an impressive century run of 103 in the opening frame. Further breaks of 52 and 54 helped him to hold a two-frame lead at 7-5 going into the mid-session. Williams then pulled off an astonishing clearance of 61 from 57-0 down to move one from victory at 8-5. However, Trump summoned a late charge to reignite his hopes. Breaks of 68 and 61 saw him move within a frame at 8-7, before a contribution of 59 from the Ace in the Pack took the match to a deciding frame. There were twists and turns with both players spurning opportunities, but it was Trump who eventually came through to book his last four spot. Trump said: “I’m over the moon to win that one. I was never really involved in the game so it was a bit of a get out of jail free card. I knew I had a potential line up with Ronnie O’Sullivan in the next round, he looks like he has a good lead there so that would be another exciting game for me to be involved with. Mark Allen has taken a commanding 6-2 lead over Kyren Wilson heading into their concluding session this evening at 7pm. 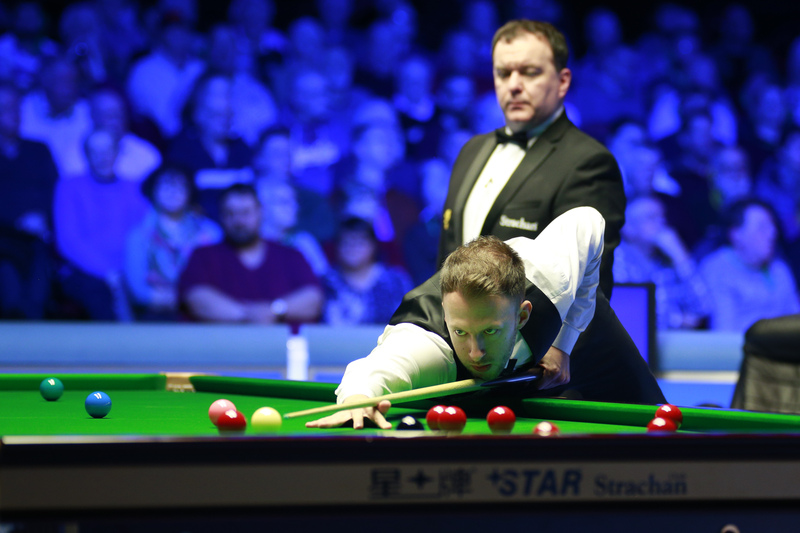 Allen has enjoyed a superb season and currently tops the one-year ranking on £394,000, having won silverware at the International Championship and the Scottish Open. The Northern Irishman took control of today’s encounter with breaks of 53, 87, 55 and 105.